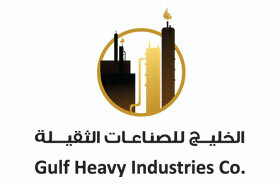 Gulf heavy Industries Co. (GHI) is part of Al-Bassam Group of Companies, which is one of the first private conglomerates in the Kingdom of Saudi Arabia. GHI is engaged in the manufacture of Pressure Vessels, Columns, Reactors, Boilers, De aerators, Dryers, Silos, Storage Tanks, Site erected tanks, Structural & Piping for Oil & Gas Sectors, Chemical & Petrochemical plants , De-Salination & Power plants in Kingdom and outside Kingdom projects. GHI also manufacturers all type of heat exchangers like shell & tube heat exchangers ,API Heat Transfer ,Plate & Frame heat exchanger ,Air cooled heat exchangers , PHE ,Thermal Systems etc. GHI undertakes Re-Tubing repair / modification & maintenance of Pressure Vessels, Columns ,Piping , Heat Exchangers etc . and is an approved vendor of M/S SABIC and its affiliates with Vendor ID:500017 ,Saudi Aramco Registration No. 10012705 ,Marafiq Registration Vendor No .63 , SCECO Registration No.1932 ,SASREF Contract no : MSM -04/016.